Why do I think that I can give you advice on low-budget traveling? After paying for flight tickets, I set out on my great journey with less than $8,000. Along the way, I earned a few additional bucks. If you factor in my Round the World Ticket, my eight months pretty much ended up costing me $9,100 in total. In principle you could travel even more economically, but I was truly on the go at all times, made numerous excursions, and saw and experienced a ton. I visited four continents and 13 countries. In South America alone, I covered more than 12,000 miles in overland buses. 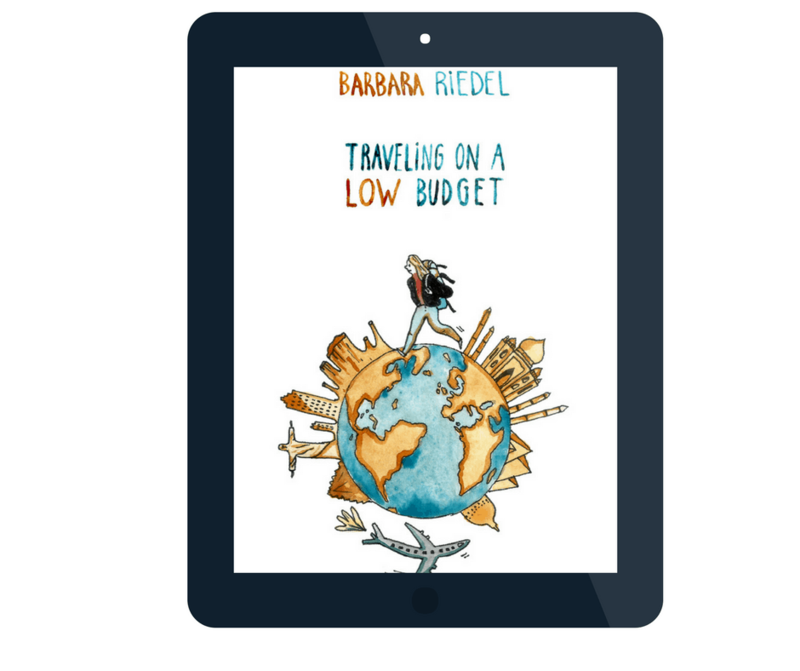 Traveling on a Low Budget is a supplement to My Trip Around the World – A Dream Come True, a book about the emotional side, the ups and downs of my world trip. It’s about me, my experiences, and how I handled them, and perhaps also about how these experiences made me a new person. While you can catch a glimpse there of my inner being, my soul, in an open and honest account of my experiences and feelings, you will now get facts. Pure information, tips and tricks for traveling with little cash. Traveling on a Low Budget is for all those who have always wanted to go on a long-term journey or a trip around the world but thought they could not afford it. It is also for those who appreciate some useful tips on traveling with less cost because this allows them to spend more time on the move. Traveling on a Low Budget is for everybody, who wants to do a long-term trip or a trip around the world, but always thought it would be too expensive. Are you curious to read more now? You can get Traveling on a Low Budget right now as an e-book and start reading immediately.